If you haven’t heard yet, yesterday was an interesting day for BlackBerry. Two very important things happened: First, BlackBerry fired their CEO Thorsten Heins. Second, they announced they are no longer looking to be bought out. According to an article from CNN, one of BlackBerry’s major buyout players has instead decided to invest money in the company. The company is hoping that this influx of funds will solve their short-term problems and help put them on a road to recovery. But, that doesn’t mean BlackBerry has a bright future. In fact, the company is still looking pretty bleak. Not only do their shares continue to drop (another 16% just yesterday), but the major changes of firing their CEO and letting go 4,500 employees by the end of the year will cost the company hundreds of millions of dollars. Not a very hopeful horizon. While BlackBerry has indeed lost its footing as a major player in the mobile device market, that doesn’t mean they don’t have anything to offer. They have a software business that is still viable and they hold some mobile technology patents. These things could make them very valuable to other technology firms. In fact, when BlackBerry was still looking for a buyout, they were talking to many different companies including Google, Intel, Samsung, Facebook, and Lenovo. This shows that while the company as a whole may be struggling to keep it’s head above water, there is value that still exists within different pieces of the company. The interesting thing will be to see what happens next. BlackBerry has announced no strategic plan moving forward, other than looking for a new CEO. This influx of funds may have bought them some time, so now we will have to wait and see what they do with it. Despite this new development, we are still giving the same advice to people that we have been for the past year- it’s time to say good-bye to BlackBerry. The truth is that the company is too far behind the other big mobile device players to be able to catch up, at least on that front. Take a look at the recent releases from BlackBerry, like the Z10 smartphone. Expected to be a major hit, and a turning point for the company. Instead, a huge flop that forced BlackBerry to write down nearly one billion dollars worth of inventory. BlackBerry has become nearly obsolete in the mobile device world, and it is unlikely they will ever be able to regain themselves in that industry. So, if you haven’t yet, you really should be trading in your BlackBerry device. It’s time to upgrade. Think about it- even putting aside the fact that the company is flailing, BlackBerry devices are simply not as good or as advanced as an Apple or Android phone. 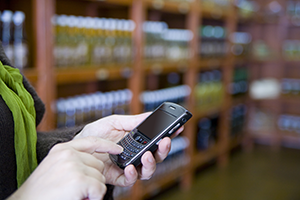 By sticking with your BlackBerry phone, you are keeping yourself behind the times. So the only question really is, what’s stopping you (and your company) from giving up your BlackBerry? We want to know! Let us know in the comments.